Child analog watch with quartz movement. 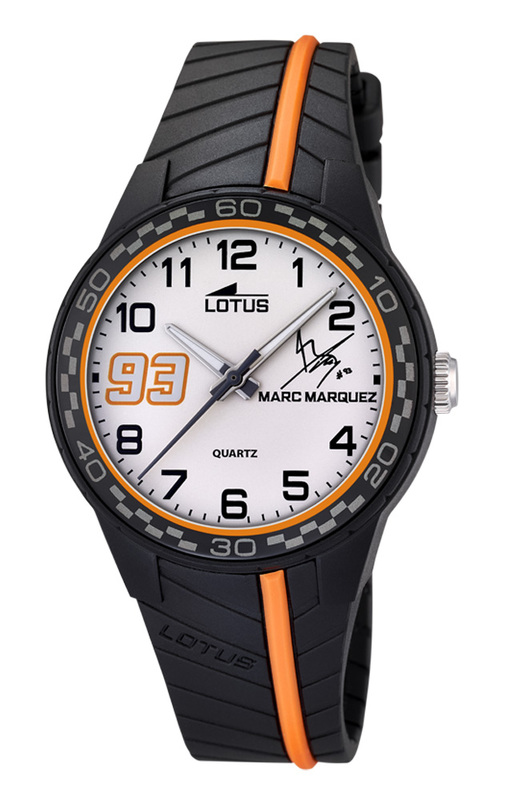 White Dial with the number 93 and the signing of the pilot. PU belt black with an orange stripe and one spare orange with a black strip.